They might inspire you to re-prioritize. Even before she was a royal, Meghan Markle amassed a loyal following from her TV role on Suits and her lifestyle site The Tig, but once she entered a relationship with Prince Harry in 2016, she has become a worldwide favorite. Audiences have watched Markle grow into a beloved fashion icon, a philanthropic world traveler, and an inspiring success. As we continue to obsess over everything Meghan — from her outfits to her acts of kindness — here are five things you probably didn’t know helped propel the Duchess of Sussex into the exciting life she leads today. So much of our success relies on believing our work serves a real purpose — and Markle understands that. A royal source told ELLE that Meghan is actually not only “well-liked,” but that people are excited about her ideas and enthusiasm. In fact, Markle has shown a history of activism around causes that are important to her, going back to when she was just a child. Back in 1993, an 11-year-old Markle went on television to talk about a soap commercial that implied washing dishes was women’s work. After creating buzz around her cause, the company changed their commercial. Working toward a greater goal makes your work all the more meaningful, and Markle has been able to find happiness and success in that crucial mindset. Markle paid a visit to Smart Works, a charity that offers clothing and professional coaching to unemployed women with upcoming job interviews, the Daily Mail reported. The organization, based in West London, emphasizes the psychology of what we wear to work — when we feel more like ourselves, we perform better. 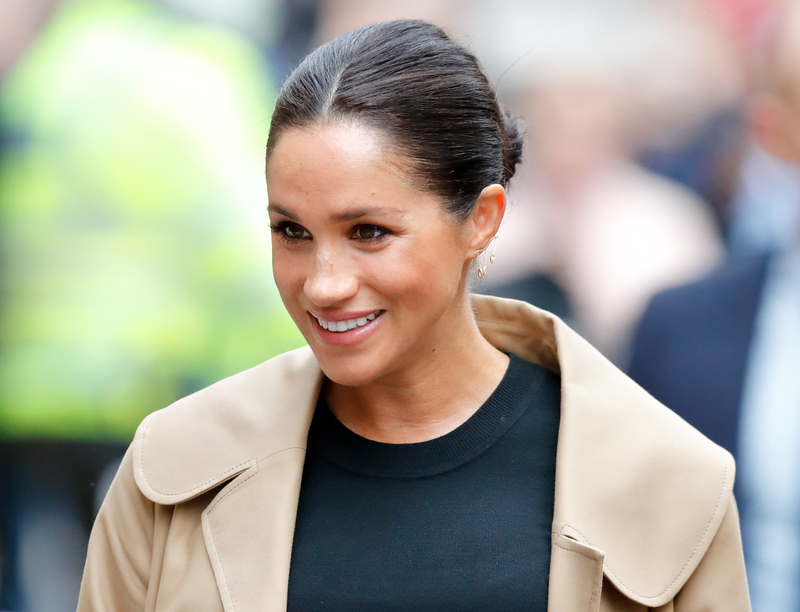 Markle has made news for her own fashion statements, like trading in her high heels for flats — and she’s opened up about paying just as much attention to the purpose behind how we dress. “We have a deep connection to what we wear,” Markle shared while presenting a fashion award to her friend this year. “Sometimes it’s very personal, sometimes it’s emotional… This connection is rooted in really being able to understand that it’s about supporting and empowering each other.” By helping women in need find clothes that will help them succeed, she’s supporting others in being their best selves. Markle understands that your mental health sets the tone for everything else in your life, which is why she has made a point to prioritize her well-being and carve out time for herself, even amid her myriad royal responsibilities. Although the Duchess was expected to join her husband on a business trip to Zambia in November, she decided to stay behind, feeling physically and mentally exhausted from her taxing travel schedule. Instead of ignoring the signs and fighting through, Markle decided to slow down and take a break. And that’s okay. Research shows that taking breaks from your devices can help you feel more present, less anxious, and generally happier — and it seems the Duchess of Sussex has embraced the science behind unplugging. In January of 2018, the Daily Mail pointed out that Markle had deleted her social media accounts, taking a break from the demanding nature of online platforms. Although that was likely a condition of becoming a royal, Markle reportedly said she felt “freer” after doing so. She continues to prioritize her time away from her devices, allowing herself to succeed without the constant buzz in her pocket.